The Chinese military was relatively late when it comes to introducing composite armor for main battle tanks and armored fighting vehicles. The first series-produced Chinese tank fitted with composite armor was the Type 85 tank, which was developed in the 1980s and is based on the Type 80. The Type 80 itself can be traced back to the Type 59, a locally made T-54A tank. A presentation from the Pakistani company Heavy Industries Taxila, the state-owned manufacturer of the Al-Khalid main battle tank (MBT), featured an image of a three-dimensional CAD model representing the armor layout of an unknown tank. While the topic of the presentation are products of Heavy Industries Taxila and the slide title is mentioning the Al-Khalid tank, other images from the same slide however show a tank that looks more like a Type 96A/B, Type 99G or a MBT-3000; i.e. the tank has wedge-shaped explosive reactive armor (ERA) at the turret front and hull with no large gaps and irregular size, which certainly does not fit to the Al-Khalid. Heavy Industries Taxila wants to produce a local version of the MBT-3000 designated as Al-Hyder tank, so maybe this explains the CGI showing a tank that clearly is not featuring an Al-Khalid. In general it seems possible, that the armor layout is similar on all Chinese-designed tanks (including local variants like the Al-Khalid) follows the same pattern. The armor consists of an external layer of explosive reactive armor (ERA), that is installed ontop of a armor steel plate. It is possible that this plate is made of high-hardness steel with a hardness of somewhere betweeen 400 and 600 BHN on the Brinell scale for enhanced protection. China has manufactured different types of ERA, some of which are claimed to provide protection against kinetic energy ammunition and even missiles with tandem shaped charge warheads. Based on the thickness alone the ability of protecting against the latter seems to be improbable for the ERA used on the MBT-2000 and Chinese Type 96A/B tanks. The Al-Khalid is supposedly fitted with locally developed Aorak reactive ERA. Behind the ERA is the actual armor array, which is located inside a dettachable module made of rolled homogenous steel armor (RHA; marked in blue). Between two mounting brackets an array of five or more sandwich plates are mounted. Based on older Chinese research papers, these plates are probably some kind of non-explosive reactive armor (NERA), consisting of an elastic material (marked in yellow) such as rubber being sandwiched between two steel plates (marked in red). This type of armor is also known as "bulging armor" or "bulging plates armor". Upon impact the steel plates will compress the elastic material, which will expand after reaching the point of maximum compression. This will impose lateral stress onto the penetrator and also move more steel into it's path. This will weaken and in the ideal case this shatter the penetrator or the shaped charge jet. While the main function of the ERA and the NERA array is to weaken penetrator/shaped charge jet by distrubing and disrupting it, the main purpose of the rest of the armor array seems to be absorbing the left-over fragments of the penetrator/shaped charge jet in a passive manner. This is a common design scheme in armor design according to British and German sources. This passive-working rest of the armor array consists of four layers of unknown materials, but most likely the majority of this is steel. Based on the color coding and some assumptions, the first two layers are conventional RHA (marked in blue). Armor steel is still a major design component in tank and AFV armor. On all Soviet tanks with composite armor - including the late T-72B and T-80U tanks - about half of the armor array was armor steel. 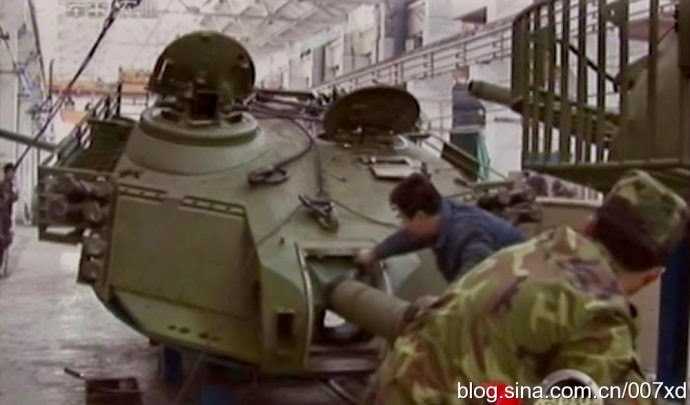 Given that the Chinese tank development is based on local improvments of licence-made Soviet tanks (T-34, T-54A) and China is rumored to have bought several T-72 tanks from third world countries (such as Iraq and Iran) in the 1980s, it seems plausible that the Chinese composite armor design follows the Soviet design philosophy to some extend. The two plates could be made of different steel alloys with different ductility and hardness. This dual hardness or tripple hardness armor (depending on how many different types of steel are utilized) would lead to increased protection against kinetic energy penetrators (KE) and shaped charge warheads. Such layered or spaced steel armor using different alloys has supposedly been used on the late models of the Leopard 1, the AMX-40 export tank, the Brazilian Osorio tank and as part of the armor arrays protection the Leopard 2 and Leclerc tanks. In ideal case nearly twice the protection against KE per weight could be achieved; however neither color coding nor the thickness of the plates used in the Chinese/Pakistani CAD image imply anything like this. The backplate of the passive armor should be made of high-hardness steel (marked in darker blue); at least this is the case with the backplate of the armor arrays used on the T-72B and T-80U. If these assumptions are correct, only one single layer of the four non-NERA layers - the third to be more exact - could be a non-metallic material (marked in grey). This might be some kind of polymer or glass-reinforced plastic. The composite armor types used on the BDD armor of the T-55AM/T-62M and the special armor used for the T-80U is known to contain different types of polymers. The hull armor of most Soviet tanks used a glass-reinforced plastic commonly knonw as stekoplastika or STEF. Alternatively this might be a ceramic layer. At least according to the British Defence Science Technology Laboratory (DSTL), ceramics can be used as absorbing elements of tank armor when fitted with backing. Overall this armor array seems to be very similar to an array mentioned in a Chinese research paper. This armor consisted of several sloped NERA plates (using two steel plates of different thickness with an elasitc interlayer material) in a steel module. There are only two backplates; a thin one and a thicker backplate; both of these are apparently made of steel. Supposedly this armor was used on the Type 85 or the original Type 96, but this is not confirmed. 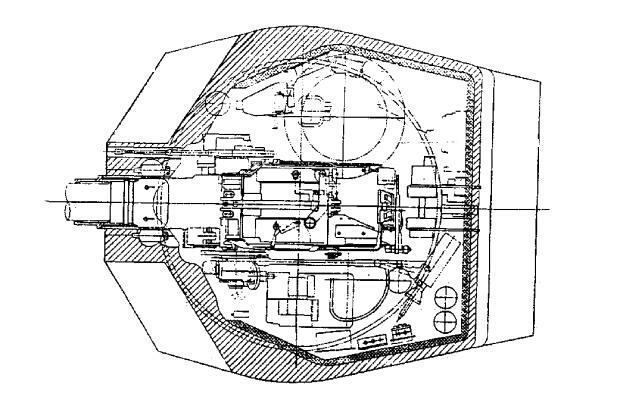 Based on the illustration from the Chinese research paper, the overall thickness of the turret armor has increased. A problem of the Chinese tank design is the armor layout. Most tanks are designed with full armor protection along the frontal 60° arc (±30° from the turret centerline), because statistically between 60 and 80% of all hits (depending on conflict and measurement methodology) occur in this arc. Tanks like the Challenger 1/2, Leopard 2, the Leclerc and the M1 Abrams not only have thick frontal armor, but also turret side armor designed to provide the equivalent thickness when attacked from a 30° angle. Tanks following the Soviet tank design philosophy, such as the T-72, T-90, T-84 and the PT-91 don't feature composite armor at the turret sides, but the overlapping frontal armor and the turret geometry make sure, that the weak side armor is not exposed when being attacked along the frontal 60° arc. Chinese tanks on the other hand don't feature composite armor at the turret sides, while the turret geometry doesn't follow the original Soviet concept. This means that it is possible to hit the tank from within the frontal arc (where between 60 and 80% of all hits are expected) at a place, which is not protected by any sort of composite armor at all. Another problem - at least if the armor layout looks like it does in the drawings - is the exposed upper section. In the CAD image, the roof of the special armor module is sloped at about 15°, which would be sufficient to make most RPGs and older APFSDS rods "bounce" or shatter, but is not enough against modern ammunition. Given that the NERA plates and most of the passive armor array do not cover the upper section of the armor module, hitting this area with any somewhat modern anti-tank weapon would allow to pentrate the tank easily. 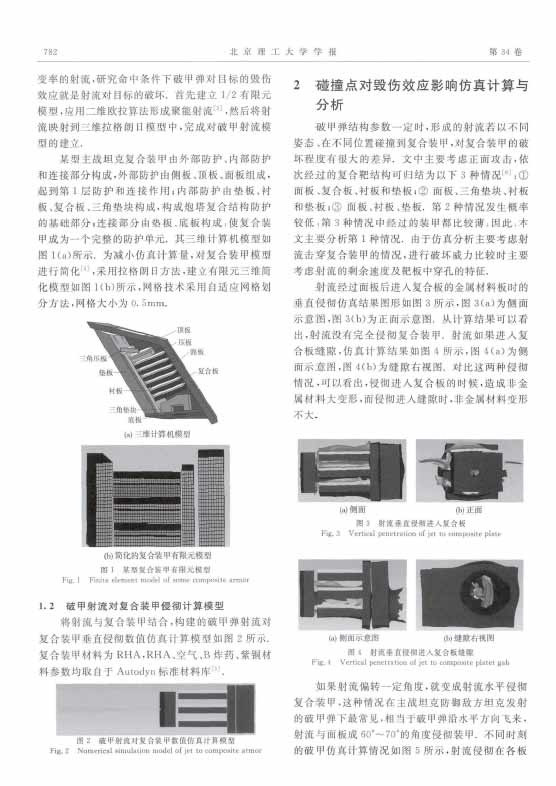 On actual Chinese tanks, the roof section of the armor module seems to be sloped at 12-13°, which would be a bit better, but still not sufficient against modern APFSDS rounds. Maybe this is the reason why the current Chinese "premium tank", the Type 99A2 is fitted with a new turret. Chinese turret design. Note that the special armor doesn't cover the 30° arc. It appears that the Chinese composite armor of the Type 85/96 and possibly also the Al-Khalid is following the same design pattern as the turret armor of the T-72B. The T-72B also has been fitted with ERA, while the cast steel turret featured a cavity into which several bulging plates and a high-hardness backplate are inserted. The armor of the T-72B might be less efficient, because the NERA is less sloped (only sloped in one dimension) and cast steel usually provides less protection than rolled steel plates; the T-72B has however an advantage in regards to armor coverage (both vertical coverage and coverage of the frontal arc). It is interesting that the Soviets and the Chinese managed to develop armor that is essentially following the same design pattern as the original British-developed Chobham armor, which used different types of sandwich plates to work as non-explosive reactive armor. The current armor solutions of M1 Abrams, the latest Merkava tanks and the Leopard 2 tanks are known to be based around similar NERA systems. The German MEXAS and AMAP composite armor, used on tanks like the MBT Advanced Technology Demonstrator and on infantry fighting vehicles such as the Puma IFV and upgraded CV90s, also include NERA options similar to Chobham. Could you provide a link to the US CBO document from wich Figure 3-1 is taken.